Discover the Secrets of Mastering Relationships, Money & POWER! Have you ever wondered why some people thrive and prosper when others do not? It’s time for you to discover your Missing Piece to Millions. It’s closer than you ever thought! 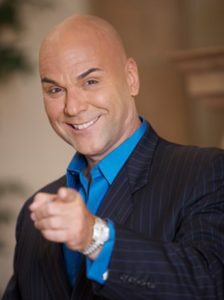 Marshall Sylver is a respected business consultant sought by Fortune 500 companies and also the creator of the number one personal development program worldwide. Today, Sylver is recognized as the #1 leading expert in subconscious reprogramming & the master of persuasion and influence. 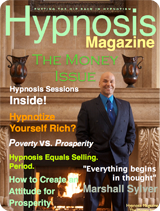 In just a couple hours Marshall Sylver will change the way you think about business, money and wealth! By educating people on the power of subconscious reprogramming, he motivates people to take action in the present moment and change their lives in a positive way forever… are YOU next? You’ll learn from Marshall… How to harness the power of the Irresistible Influence to grow a profitable business – in ANY market condition. You’ll learn from Marshall… The key personality traits of Millionaires & Billionaires and how to form them – so you ATTRACT all you want in life. You’ll learn from Marshall… Exactly how change any habit and create diamond hard discipline – with THREE simple skills. You’ll learn from Marshall… Why goal setting will not work and what you should do – so YOU can achieve FREEDOM. Sally Jesse, Robert Kiyosaki, Jay Leno, Howard Stern, Richard Branson and many more! 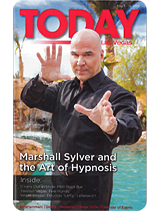 Marshall Sylver, a world-renown hypnotist and master of interpersonal communication, has been harnessing the power of the human mind since he was a child. Sylver’s journey started on a Michigan farm where a mother, who worked three jobs to support her ten children, raised him. As a child, he experienced such hardships as no running water, no electricity, and no telephone. Through his mastering of the subconscious mind, Sylver turned his world around. He is a respected business consultant sought by Fortune 500 companies and also the creator of the number one personal development program worldwide. On TV, Sylver has educated and entertained audiences through his hypnotic expertise on The Late Show with David Letterman, Howard Stern, Rosie O’Donnell, Dr. Joy Browne, Donny & Marie, Sally Jesse Raphael, Montel Williams, and The Big Idea with Donny Deutsch, where he used the power of influence to have the host eat fire. It’s his appearances on David Letterman where he’s received worldwide attention. Sylver has appeared on David Letterman an unprecedented five times. His appearances were so popular that his segments were extended and bumped Letterman’s famous Top Ten List. 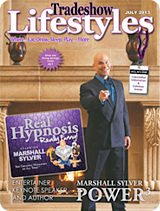 While Sylver has used his background in hypnosis for entertainment, it is his teachings on personal development that has gotten him worldwide acclaim. Sylver travels around the country teaching empowerment seminars on subconscious reprogramming and persuasion and influence to audiences of all ages. He has led training programs for such companies as IBM, Ford, KFC, and Pepsi, teaching management how to motivate employees and teaching sales staff how to close deals. He also is a keynote speaker at numerous mega-conferences throughout the world. Sharing the stage with speaking powerhouses such as Donald Trump, President Clinton, and Robert Kiyosaki. Sylver teaches students to be influential, self-empowering people. 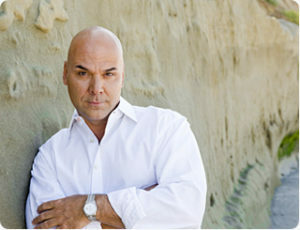 By educating people on the power of subconscious reprogramming, Sylver motivates people to take action in the present moment and change their lives in a positive way forever. His book, Passion, Profit & Power, published by Simon & Schuster, is a best seller, which has been translated into numerous languages and distributed all over the world. His infomercial of Passion, Profit & Power sold over a million copies of his personal development program worldwide. “Throughout my career, I have been blessed to have inspired hundreds of thousands of people to create a more powerful and purposeful future for themselves while stimulating the sale of billions of dollars worth of goods and services. In all of my career on the stage, Television and Intellectual teachings, the most Influential and Empowering Stage presence and the Most Powerful person in our industry for an audience, is Marshall Sylver. That is a huge statement for an incredible man. That being said, Marshall has been an amazing influence and teacher of what he knows better than anyone, getting your audience to Take Action! His combination of Fun and Entertainment coupled with the most powerful two hour presentation in our business, Marshall will absolutely add value, fun, content and profits to any event. Thank you Marshall for your ability to make every event you attend more successful, not just for you and the host, for every speaker at that event! 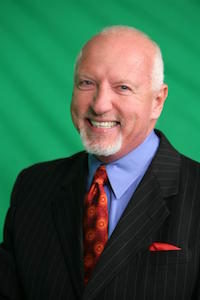 I am excited to do more events together in the very near future!” – Mark Victor Hansen. Why do I tell you all of this? My name is Robert Allen and my experience in the seminar and speaking community is extensive. I have been blessed with the privilege of working together with the greatest speaker from a platform and the most incredible addition to any event, Marshall Sylver. Marshall empowers any audience to Massive Action! Every event of mine, in fact, every event that I have seen him present at has benefited incredibly from his Hypnosis Show and Presentation. Marshall has brought our organization hundreds of thousands, if not Millions of dollars over our relationship together. 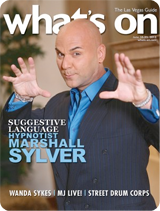 Every audience, every event, every speaker wants to have Marshall Sylver on stage. Take Action Now!” – Robert Allen. He is a respected business consultant sought by Fortune 500 companies and also the creator of the number one personal development program worldwide. He travels around the world teaching empowerment seminars on subconscious reprogramming and persuasion and influence to audiences of all ages. He is recognized as the #1 leading expert in subconscious reprogramming & the master of persuasion and influence. Are YOU Ready to Become the Next Success Story?